I’m so excited to announce that my feature on Henri Bendel is now live! I teamed up with everyone’s favorite brand of accessories to create a Fall Style Guide featuring some of their top items for fall – click here to check out the feature! PS – don’t forget to check out The Style Scribe x Henri Bendel Pinterest board for all the photos and pieces used in the feature! 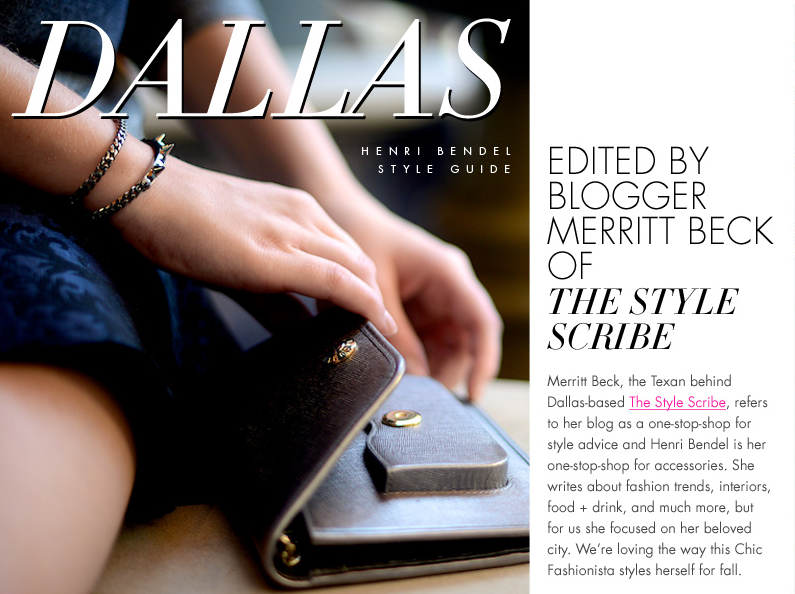 Such a fun feature; love your style and the way you represent Dallas. Thank you for sharing and congratulations!